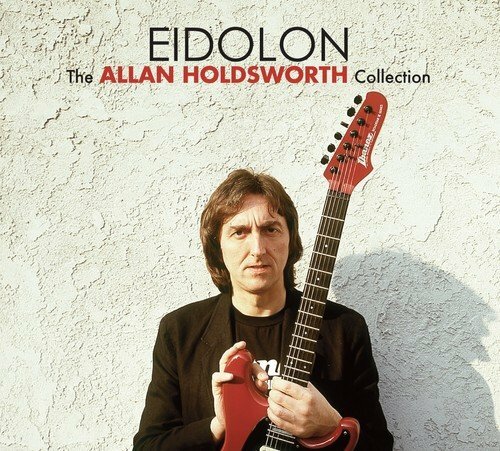 Guitarist Allan Holdsworth, whose lightning-fast, effortlessly fluid, Trane-influenced technique set a new standard for virtuosity during the fusion and progressive-rock era, died April 16 after a brief illness. Holdsworth was 70. 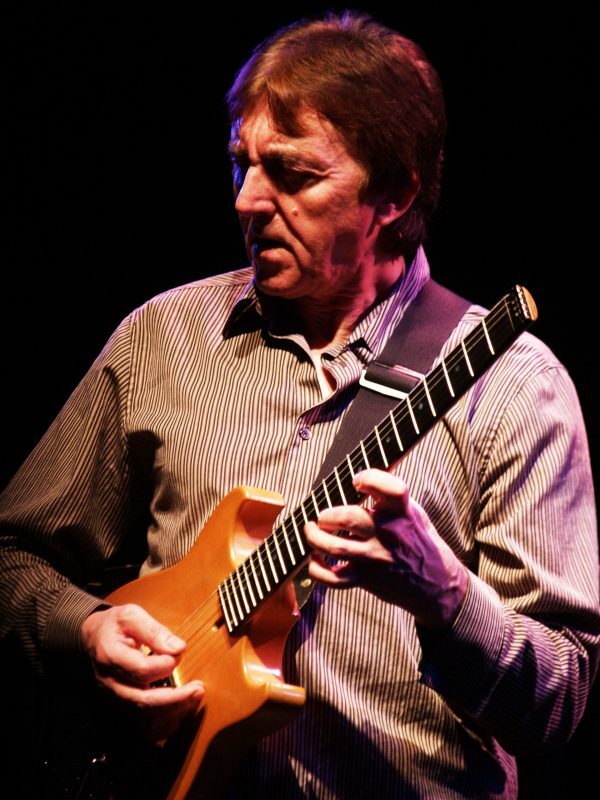 Best known for his jazz-fusion work with Jean-Luc Ponty, Soft Machine and the New Tony Williams Lifetime as well as numerous releases as a leader, Holdsworth’s influence ran deep among musicians and especially guitarists of all stripes—Eric Johnson, Alex Lifeson, Stanley Jordan and Eddie Van Halen have all cited him as a major influence. Born Aug. 6, 1946 in Bradford, West Yorkshire, England, Holdsworth learned music theory and jazz appreciation from his father, a pianist, but the route to the guitar was circuitous; a passion for bicycle racing gave way to an interest in the saxophone, but his family could not afford to buy one. An uncle’s gift of an acoustic guitar, and a desire to emulate the legato phrasing of John Coltrane, put Holdsworth on the path to developing a unique left-hand technique that allowed him to create long, horn-like passages with clean articulation that both inspired and awed musicians and listeners alike. After a stint playing with local bands and also dabbling in violin, Holdsworth moved to London in the late ’60s, initially playing with Igginbottom’s Wrench, his fast legato style utilizing hammer-ons and complex chording already in full display on their self-titled (and only) release. The 1970s found Holdsworth playing in progressive rock outfits Nucleus and Tempest before joining Soft Machine in 1974, his trademark sound adding new dimensions on the album Bundles. By 1975 he’d been recruited by Tony Williams to join the New Lifetime and stayed long enough to provide guitar wizardry on two albums, Believe It and Million Dollar Legs. The next year, Holdsworth—perhaps unknowingly—recorded his first effort as a leader, Velvet Darkness on the CTI label. Per his recollection of events, he and his bandmates (bassist Alphonso Johnson and drummer Narada Michael Walden) were merely rehearsing in preparation to record, when CTI founder Creed Taylor abruptly wrapped up the preliminary session and took the tapes. After this unsatisfying experience, a diet of session work made better fare, with Holdsworth working on albums by a variety of rock and jazz acts including Bill Bruford’s One of a Kind, progressive-rock supergroup U.K.’s self-titled debut and Jean-Luc Ponty’s Enigmatic Ocean (and a few years later, Individual Choice). The 1980s proved a more fruitful decade, with Holdsworth continuing his session work while also releasing I.O.U. (1982), Metal Fatigue (1985) and 1986’s Atavachron, an album that for the first time featured Holdsworth playing SynthAxe, a unique guitar-based synth controller that provided him a new palette of tones and chordal possibilities. On 1987’s Sand, he dug even deeper into the SynthAxe’s potential, with his trademark fluid solo passages and extended chord forms transformed into synth riffs and washes of sound. Two years later, he released Secrets, often considered a capturing of Holdsworth’s peak as a player and composer. The next two decades saw him continuing to explore the technology while still retaining his signature guitar sound on a number of solo/leader releases including Wardenclyffe Tower, Hard Hat Area, None Too Soon, Heavy Machinery, The Sixteen Men of Tain, All Night Wrong (a live album) and Blues for Tony. He also found time to develop and patent “The Fizzbuster,” a device for pouring cask ales, another long-time interest. Read a JT interview with Holdsworth.